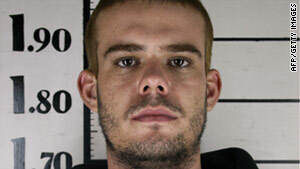 (above) Joran Van der Sloot will be tried in a Peru case. He has been called the chief suspect in the death of Natalee Holloway. (CNN) -- An extradition treaty signed this week between the Netherlands and Peru could open the door for Joran Van der Sloot to return to his native country if convicted in the death of a 21-year-old Peruvian woman. A spokesman with Peru's foreign ministry, Gonzalo Portals Zubiate, said Friday that the treaty -- which allows some Dutch nationals sentenced to time in Peru to serve their sentences in Europe, with the inverse for Peruvians convicted in Holland -- has nothing to do with Van der Sloot, specifically. Still, the suspect's attorney acknowledged it could affect him. "Joran knows about the treaty," said Maximo Altez, the lawyer who is representing Van der Sloot in Peru. "Whether he requests an extradition will depend on his sentence." Van der Sloot is being held at Miguel Castro Castro prison in Lima on charges of first-degree murder and robbery in the death of 21-year-old Stephany Flores. Authorities found Flores' body in June in a Lima hotel room registered to Van der Sloot. Van der Sloot is perhaps best known as the prime suspect in the disappearance of American teen Natalee Holloway. He was arrested twice in connection with the case, but was not charged. Police have said Van der Sloot admitted he attacked Flores on May 30 after she read an e-mail on his computer connecting him to the case of Holloway, who went missing while on vacation in Aruba in 2005. After killing Flores, police say, Van der Sloot took money and bank cards from her wallet and fled to Chile, where he was arrested June 3. "The police can't determine the exact time when Stephany was killed. She was in the room for three days. ... Joran didn't mean to kill this woman," said Altez. Van der Sloot, 23, moved from Holland to Aruba as a child and returned to his homeland for several years to attend college. Since he is a Dutch national, he could eventually request extradition based on a treaty signed Thursday by Peruvian Foreign Minister José Antonio García Belaúnde and his Dutch counterpart Uri Rosenthal. "The treaty allows (Dutch) residents ... who have been sentenced to prison by final and unappealable judgment in Peru to serve their sentence" in the Netherlands, Holland's foreign ministry explained on its website. "Peruvians who are in prison anywhere in the (Netherlands) are also entitled to invoke the treaty. That deal still must be approved by both nations' legislatures to take effect. If it is, both countries are obligated to act on detainees' requests to return to their native Netherlands or Peru. "It is a treaty so that sentenced prisoners may finish their sentence in their own country," Portals said. Altez said he would advise Van der Sloot to apply for extradition if he's convicted "under the violent emotion defense" -- meaning a jury could determine he snapped and killed Flores, but didn't plan it out. In that case, he'd likely get a three-to-five year sentence, which he wouldn't appeal, Altez said. "If he gets a higher sentence" -- such as what amounts to premeditated murder -- "we will probably appeal" and not request extradition, said Altez. That's because once Van der Sloot leaves Peru to serve his time in the Netherlands, it would be more difficult to appeal his sentence. Peruvian authorities will likely set Van der Sloot's trial date in the next few months, according to Altez. He noted, too, that the court has opted to extend its investigation phase for another 15 days. The attorney noted that the United States already has requested that Van der Sloot be extradited there, to face grand jury charges related to Holloway's disappearance. The Dutch native faces federal wire fraud and extortion charges in the United States, where prosecutors say he demanded more than $250,000 from Holloway's family in return for disclosing the location of her body.